I can’t tell what colour this is. If anyone wants to help me out, let me know. It’s a solid colour shirt, that is either a light blue or a grey-green. It does up with silver snaps (that sometimes look white under the lights) and has two breast pockets that snap closed. 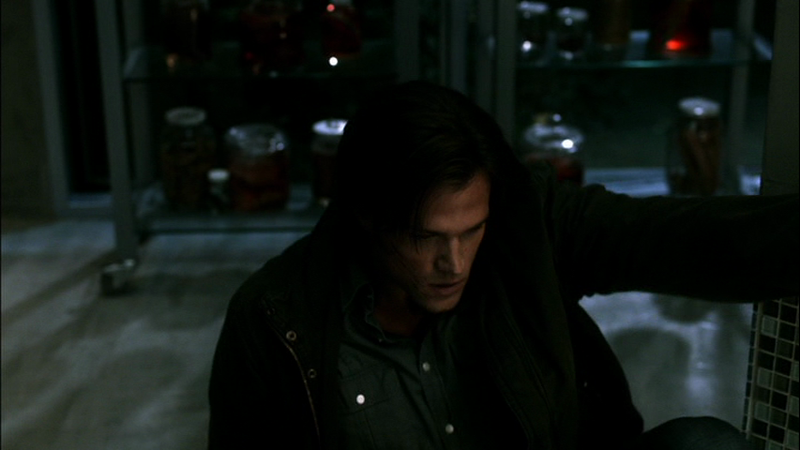 In You Can’t Handle the Truth (6x06), Sam wears it when they go to the goddess’ house in order to kill her. In Family Matters (6x07), Sam is still wearing it when he comes to in the motel room and is examined by Cas. He changes out of it before they go to the Campbell Compound. 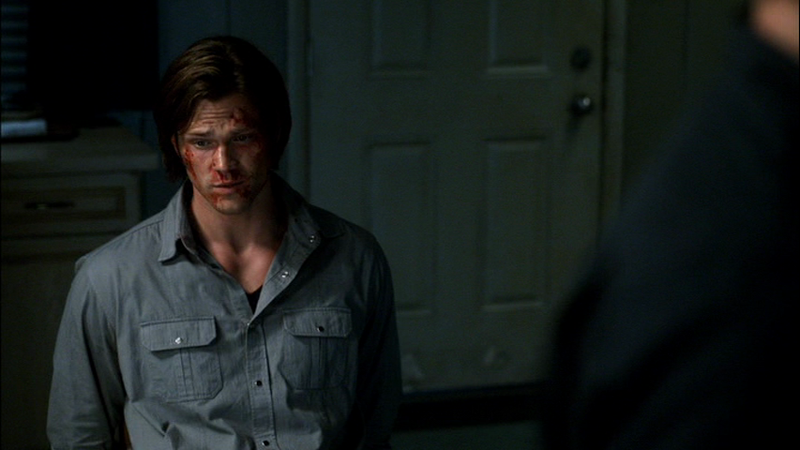 In Blood Brother (8x05), we see Sam wearing this shirt during a flashback to when he fixed the ice machine and then went and unclogged Amelia’s sink, while working at the motel during the year that Dean was missing. 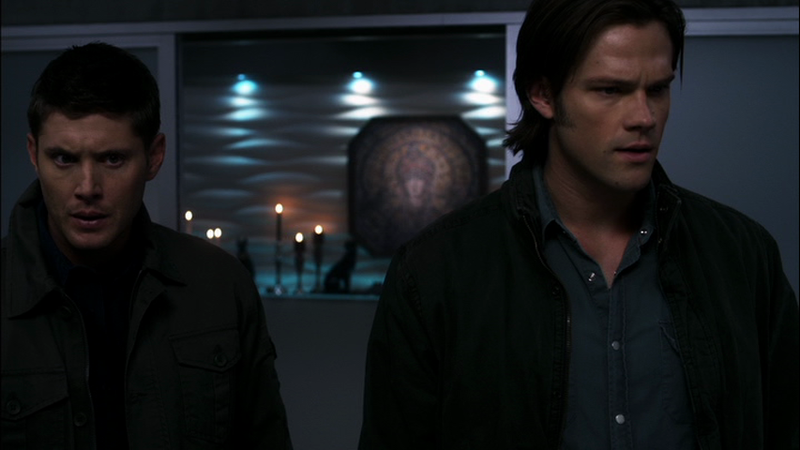 In #THINMAN (9x15), Sam wears this shirt at the beginning of the episode when he and Dean are in the bunker. I really like this shirt. So Sam-like. It kind of looks grey, but yea, there is a green tint to it. Either way it looks good on our boy. It DOES look good on him. And yeah, this shirt really shows how much colour can vary depending on the lighting they use.